I perused through the brokenly bound book with morbid curiosity. It was mostly accounts of fantastical illnesses, sights, and happenings, but Scott reasons through a lot of philosophy and psychology by way of explanation as well. Going through a history of the belief in demons, Scott starts with explaining a possible misinterpretation of the Bible, in which the line “men shall not suffer a witch to live” might simply be “men shall not suffer a poisoner to live” depending on one’s translation. The connotations and translations of a word carry power and serve to justify and authenticate power as well, especially in terms of the Bible. This led me to consider my recent reading for my Anthropology of Poetry and Prayer class. 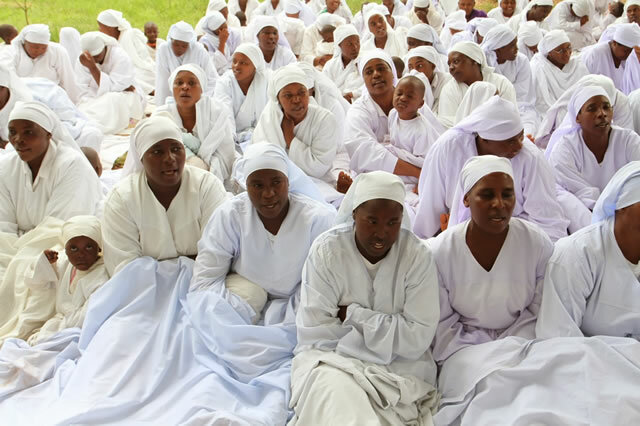 It explored the Masowe church, which doesn’t believe in reading or quoting from the Bible; they want to be Christian through a “live and direct” connection with God. I understand the “terror of habit” and wanting to focus on relating your religion to your own life instead of venerating a 2,000 year old text. However, even they admit the power of words; their prophets use “ancient Hebrew” words when dealing with witchcraft or demons that are “too much” for normal people to use, reminding me of Latin exorcisms, the kind Scott references. Personally, I can attest to the power of the written word as well as the spoken. For me, each time I reread a book, I get more out of it, rather than falling into habit. I do understand the habit of repeated words. This is why I love looking back at the origins of words and grammar; their origins, history, and connotations are what give them their power. So this week, check out some of the words you use most commonly and explore their power. Mental Floss publishes some great and hilariously interesting articles about this, such as this one on “Dirty Etymology.” But also see what words have power in your own life, whether written by you or spoken by others to you. From the power of self-affirmation to the beauty of poetry, words truly can have power.